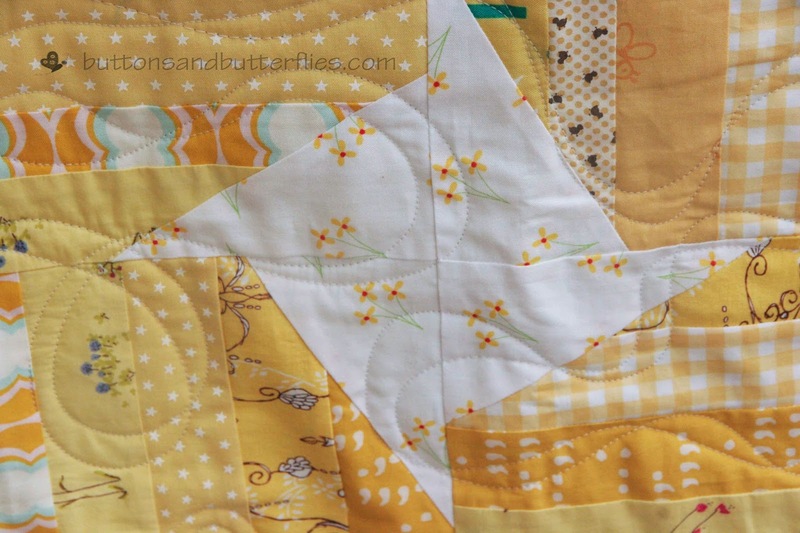 November's Imagine Circle@ Do.Good Stitches Bee quilt is all finished!! I asked the lovely ladies if it was all right if this one time we could give to another good cause, an auction! The luncheon is for Special People In Catholic Education (SPICE) and being a mother of two dyselexic sons, I can't thank them enough for saying yes! 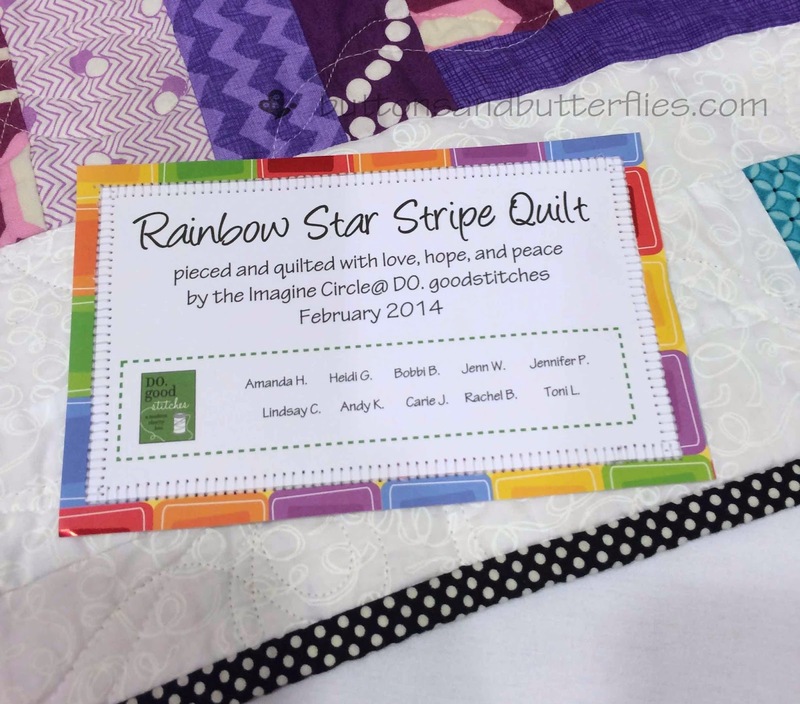 I love this quilt so much and I KNOW I will do another in the future....maybe for our regular charity!! Now to the quilt stuff. 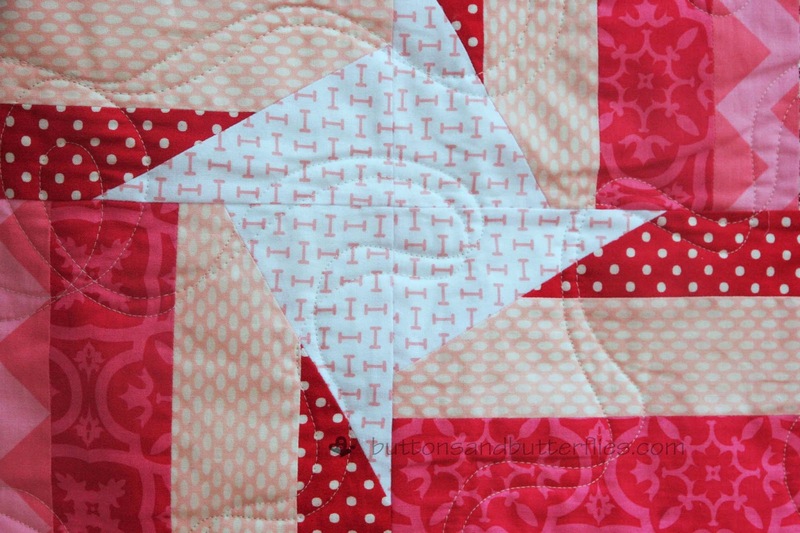 The blocks are using the Starstrip Block Tutorial that I worked up. Each bee member was assigned a color. I asked them to use coordinating low volume centers for the "stars". They pieced together easily since the blocks were a nice size. When it came time to do a border I really debated. Just white or a lot of color. I think the postage stamp border was the best of both worlds! 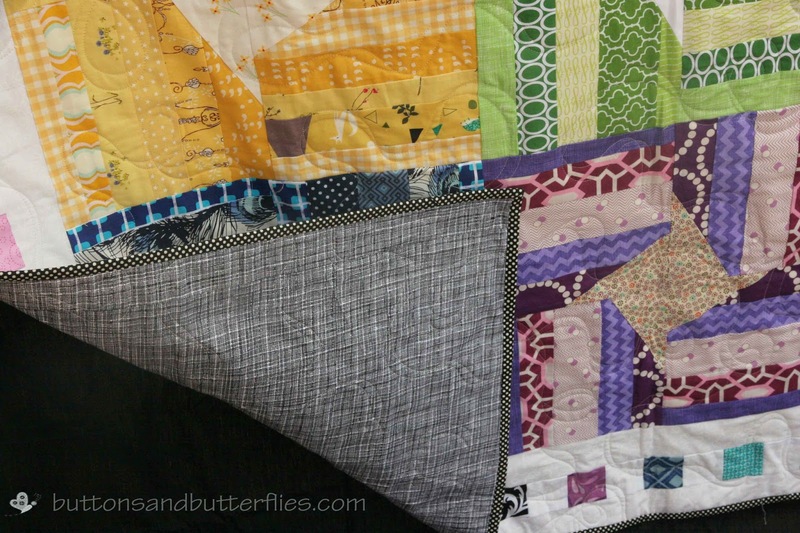 I knew I needed a quilt pattern that meanders but was interesting just the same. 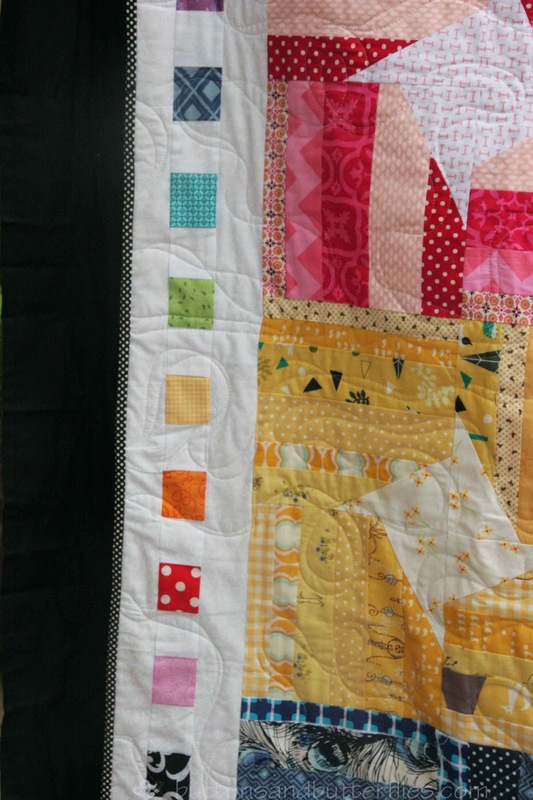 I decided to try my hand at "ribbon" quilting. Definitely fun! I basically travelled a path one direction and the traveled closely back. Letting it get wide to thin and even crossing. For the backing, a simple black and white crosshatch. Binding small black and white dots. Quilted: by myself on Avante 18"
All set up for the auction! With a quilt card to the winner so they know who worked so hard on it! I'm not sure of the final bid, but I know it was doing well when I checked on it midway through the luncheon!! Thanks my dear do.goodstitches friends!!! 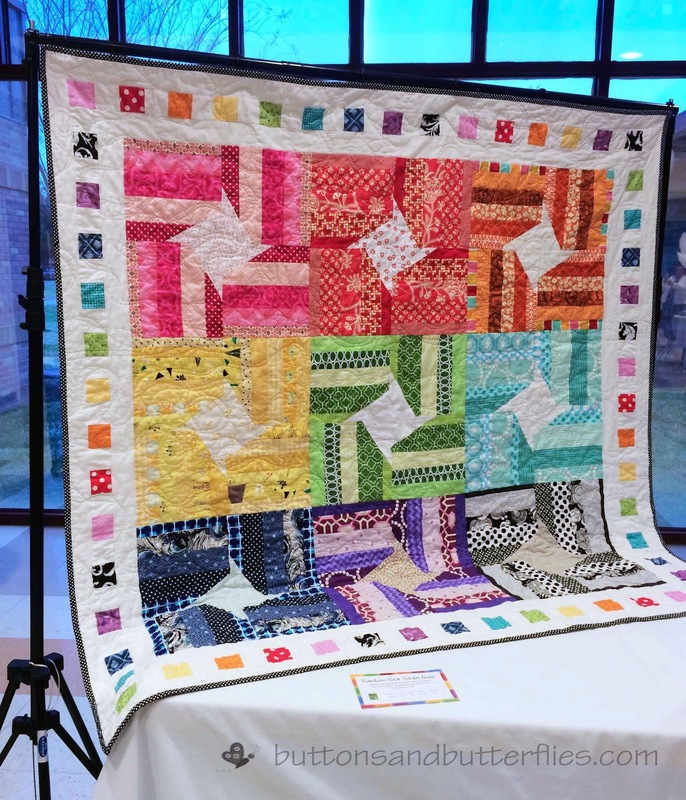 Beautiful quilt, and such a great cause, my boy is dyslexic too. Beautiful! I always love rainbows. Great job! 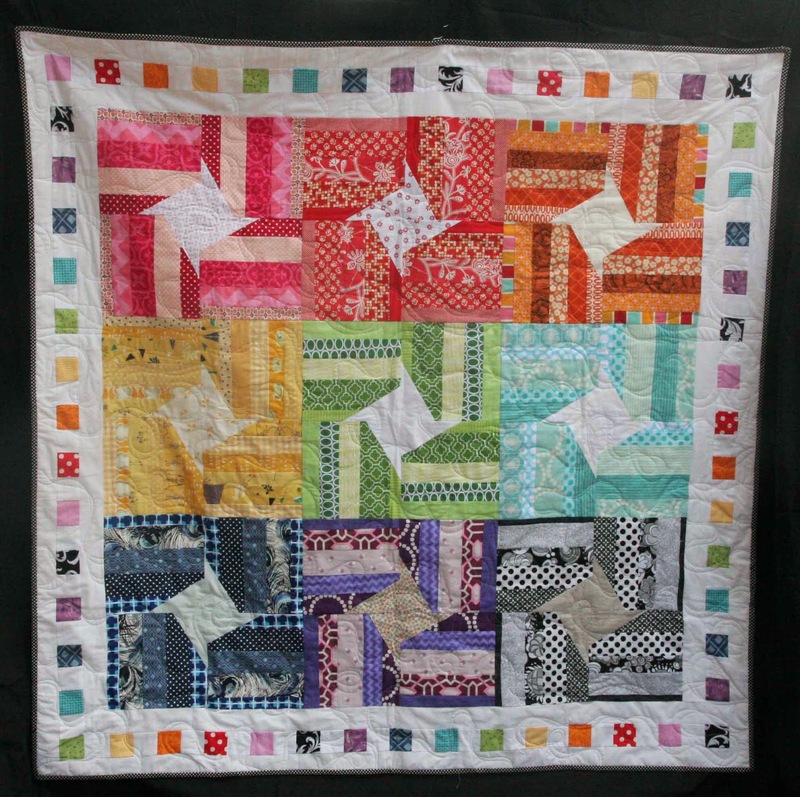 I love the finished quilt! The border is perfect! 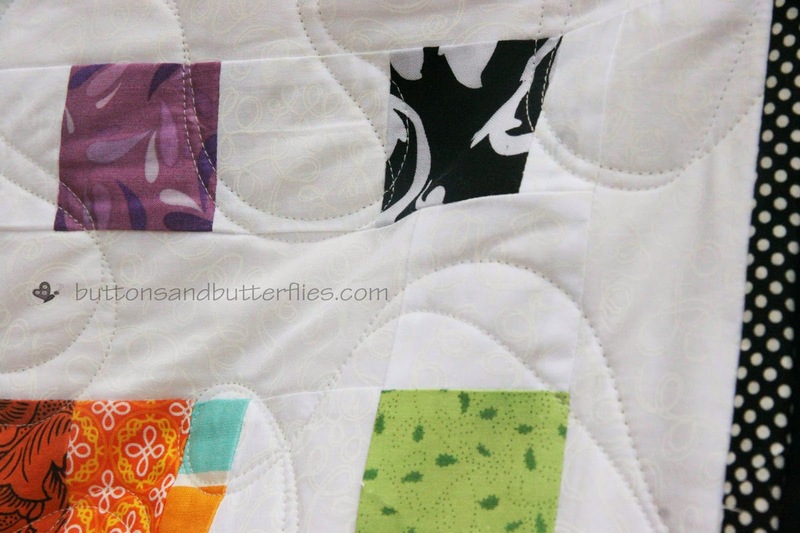 I like that ribbon quilting - I'm going to have to give that a try sometime.